White contoured acrylic cloud fixture with regressed metal frame. Twist-on diffuser for easy replacement of light bulbs. Fixture is safety listed for both indoor and outdoor use. This fixture includes energy-saving compact fluorescent light bulbs. This outdoor flush mount lantern nicely accompanies the outdoor decorations of contemporary style homes. The low profile design allows this fixture to fit seamlessly into your outdoor dicor. Durable weather resistant cast aluminum makes this a sturdy fixture for the outdoors. With a traditional blown opal white glass shade and antique finished metal hardware, this fixture provides a subtle touch of elegance to any room. Comes ready to install as both a semi-flush mount light and pendant, finding an ideal space could not be easier. Exquisite beauty in both form and functionality. Hardware included for easy installation. The Premium 4-Light Flush-Mount White Fluorescent Wrap Light provides bright, uniform illumination. Luminous end caps soften the overall appearance for improved aesthetics. Ideal applications include general purpose lighting for garages, workshops, kitchens, utility rooms/spaces and corridors in commercial and residential environments. 4-Light White Flushmount White contoured acrylic cloud fixture with regressed metal frame. Twist-on diffuser for easy replacement of light bulbs. Fixture is safety listed for both indoor and outdoor use. 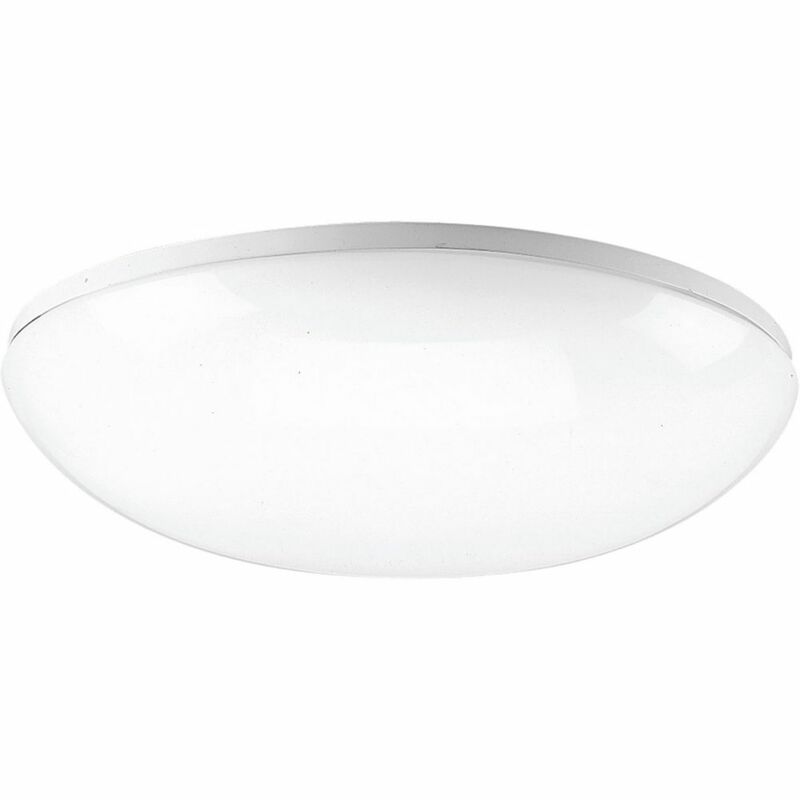 This fixture includes energy-saving compact fluorescent light bulbs.